Reviews about Industries in Southeast Asia from Insignia Ventures Partners. Alibaba’s logistics arm Cainiao Smart Logistics Network had reportedly delivered the first 100 million parcels from the Singles Day Global Shopping Festival in just 2.6 days, illustrating that the e-commerce giant is quite simply on a whole another level to the logistics companies in Southeast Asia which are beset by infrastructure challenges. 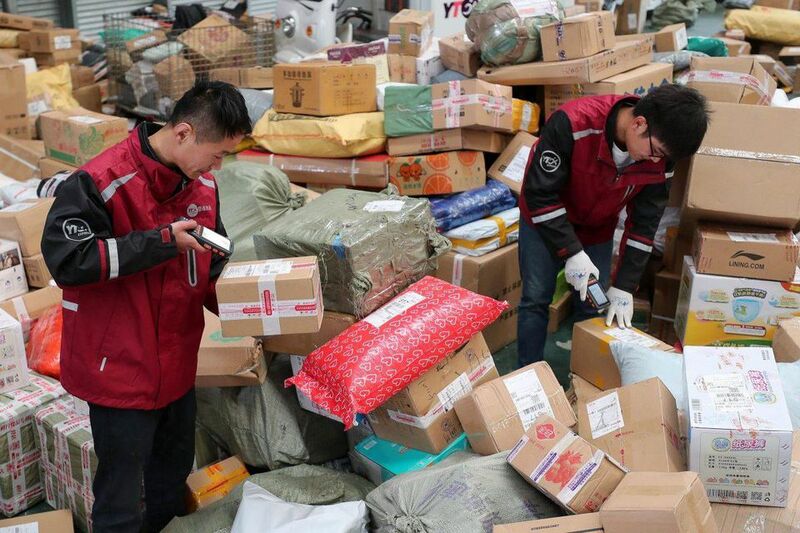 While Cainiao has been able to process 5 million parcels through customs clearance in less than 5 hours, and reached an all-time high of 416 million parcels handled domestically in a single day, Southeast Asia’s logistics companies can’t come anywhere close to matching the company and its partners in terms of scale, network and innovation. Not yet, at least. Home to over 650 million people with diverse demographics, Southeast Asia’s economies are on the rise. The region has been experiencing a robust expansion of its middle-class population, at it goes through a phase of rapid economic growth. Made up of 11 dynamic markets at different stages of development, it is quickly becoming an economic powerhouse. Nielsenhas predicted that the region’s middle-class population will reach 400 million by 2020, over twice the size it was in 2012. According to data from the International Monetary Fund, the combined GDP of all ASEAN countries (10 member states) in 2017 amounted to around $2.8 trillion. By the end of 2018, that number is projected to rise to $2.97 trillion. Southeast Asia’s robust economic growth is supported by an increasing amount of consumers from across the region gaining access to the web. In 2018, the internet penetration in the region reached 58%. And with another 3.5 million users coming online each month, consumer behavior is rapidly shifting , which is fueling a boom in the e-commerce industry. China’s logistics market became the largest in the world back in 2012 after the country’s retail sales posted an annual growth rate of more than 15% for several years. Southeast Asia is in the midst of a similar boom in consumer spending. According to a study by Google and Temasek, the region’s retail sales are forecast to almost double to $1.38 trillion in 2025 from the $720 billion it recorded last year. Although the 11 countries of Southeast Asia share the mutual goals of development and expansion, they also share the similar logistical problems. The region’s logistics sector is still currently dominated by third-party logistics service providers, better known as 3PLs, which have traditionally been characterized as asset heavy and labor intensive. Seeing where the current trends are headed, 3PLs will need to further develop their digital capabilities in order to meet the needs of the region’s rapidly growing retail sector, which presents an opportunity for tech-enabled startups to offer their expertise. Millennials are the biggest adopters of e-commerce, and Accenture has projected that Asian millennials, in particular, have been projected to have an estimated spending power of $6 trillion by 2020. These young consumers are accustomed to receiving the instant gratification offered by today’s apps and services and have similar expectations with online retailers. Thus, e-commerce players in Southeast Asia are continuously focused on catering to this generation. They are racing to provide fast and engaging experiences to win over and retain customers, while capturing a higher average revenue per user (ARPU), and extending lifetime value (LTV). Despite this, long tail merchants in Southeast Asia are still consolidating bulk orders before sending them to 3PL storefronts in order to save on delivery costs. This delays shipping and poses a major problem in maintaining customer satisfaction, let alone loyalty. Things get even trickier in countries with inadequate infrastructure and higher geographical barriers, like Indonesia. Over the last three years, the Indonesian government has been spending a great deal of time and effort to accelerate the country’s infrastructure development and solve logistical problems. There have been significant improvements in the sector, as seen in the Logistics Performance Index, a biannual report published by the World Bank. Indonesia jumped 17 positions to 46th place out of 168 countries covered in the report. Despite the remarkable achievement, Indonesia accounts for most of the region’s e-commerce market, but unfortunately still has some of the highest logistics costs across the region, accounting for 24% of the country’s GDP. While the ratio in neighboring countries, like Thailand and Malaysia reached 13.2% and 13%, respectively. Quite a few industry players, including those from the digital sector, have tried to come forward and offer their solutions. While e-commerce giant Lazada has built up its own delivery operations in Indonesia to ensure timely delivery, tech startups like Shipper, intends to help cut the inefficiency in local logistics business by creating a first-mile logistics aggregator platform that offers pick-up and delivery services in the hopes of complementing its 3PLs services, while providing merchants the option to have their products delivered to customers on the next day – if not same day. The age-old logistics industry is primed for technology disruption. Southeast Asian businesses are often run on relationships, with multiple agents facilitating each deal, eating away at the supplier’s profits and driving up prices for consumers as a result. Thus, some form of disintermediation has become essential to reinvent the current processes, especially now that the Fourth Industrial Revolution (4IR) technologies are enabling, while at the same time, demanding logistics providers to embrace tech and take their services to another level. One of the proofs of this inefficiency can be seen in the trucking sector, which has been used by large FMCG (fast moving consumer goods) companies to carry inventory in bulk. This is a result of the lack of a single data point connecting all FMCG companies, trucking companies, and drivers together, resulting in several problems, such as under-utilized fleets, empty backhaul and insufficient drivers to arise in certain regions. In Vietnam, another startup called Logivan has been exploring the possibility of utilizing data to better manage resources. By collecting data on truckers’ routes and company fulfillment needs, managers can function like control towers, directing demand to truckers to prevent empty backhauls. Adding to the potential benefits, pricing transparency may also be improved by utilizing a two-sided marketplace that can obtain the fairest price for both truckers and FMCG companies. Seeing the success of models like BlackBuck in India and ManBang in China serves to illustrate the untapped potential of these startups. With advancements in technology, warehouses will no longer just be locations for storing a wide array of items, but instead can be transformed into fulfillment centers that are able to analyze consumer purchasing patterns and anticipate demand for certain products. By shipping and storing selected items in advance, 3PLs can respond to orders faster and utilize bulk shipments at a lower costs. 3PLs continue to seek ways to expand their service coverage. Aside from offering lower prices and faster delivery services, 3PLs compete with each other by working with agents to open storefronts nationwide that can better serve consumers. Although spreading physical collection points has been the go-to expansion model for ages, it is ultimately expensive to set up and maintain. Meanwhile, 3PLs have the opportunity to shorten the distance between the hubs and consumers by considering several options, such as utilizing spaces like mum-and-pop stores as sorting hubs. This way, it is easier for consumers to drop their packages at the hubs and more efficient for the 3PLs to distribute. Disclosure: Insignia is an investor in Shipper and Logivan. This article was developed with the assistance of Chuah Joolin, Jonathan Lim and Dila Karinta. Tan Yinglan is CEO and founding managing partner of Insignia Venture Partners, an early stage technology venture fund focusing on Southeast Asia that was established in 2017. He also serves on the Singapore government’s Pro-Enterprise Panel. Yinglan is also an adjunct associate professor at the National University of Singapore and Nanyang Technological University and author of three books: The Way Of the VC (Wiley, 2009), Chinnovation (Wiley 2010) and textbook New Venture Creation - An Asian Perspective (Mcgraw Hill 2011). Yinglan has been named as an Eisenhower Innovation Fellow (2018), World Economic Forum Young Global Leader (2012 – 2017), a WEF Technology Pioneer Selection Committee Panel (2015-2017), Top “40 leaders under 40” by Prestige magazine (2015), Milken Institute Young Leaders Circle (2016), one of 100 Leaders of Tomorrow by the St Gallen Symposium (2010), 100 Global Thinkers (2011) by think-tank Lo Spazio della Politica, a World Cities Summit Young Leader (2014), a WEF Global Agenda Council member on Fostering Entrepreneurship (2011-2013) and a Kauffman Fellow.